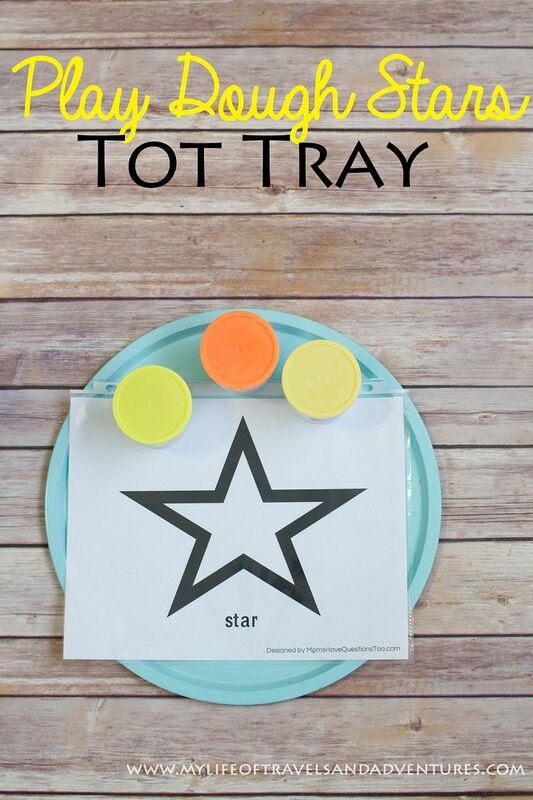 Keeping with the shape theme from before, this week+ of Tot School was all about stars. 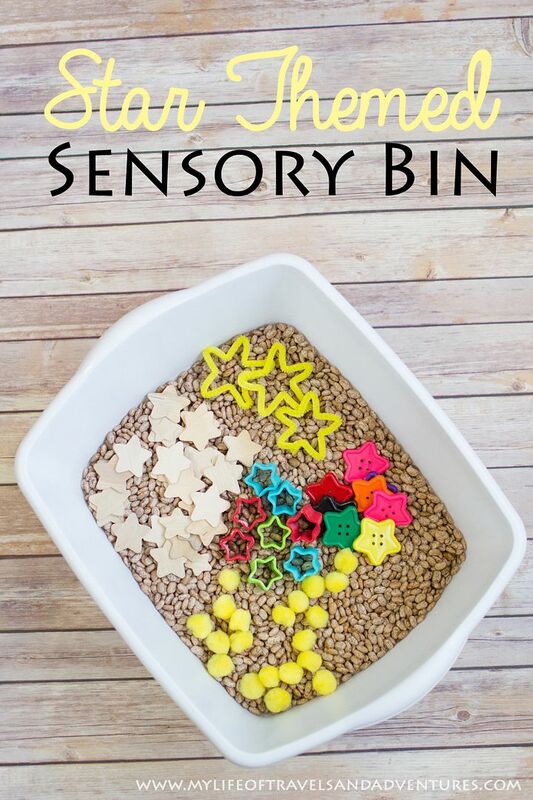 Which made it kind of hard to come up with ideas for the sensory bin. But nonetheless, Reid loved this weeks bin. I am pretty sure he would have played in this bin all day everyday if I let him. I did add a couple wooden spoons and random measuring cups for him to play with. 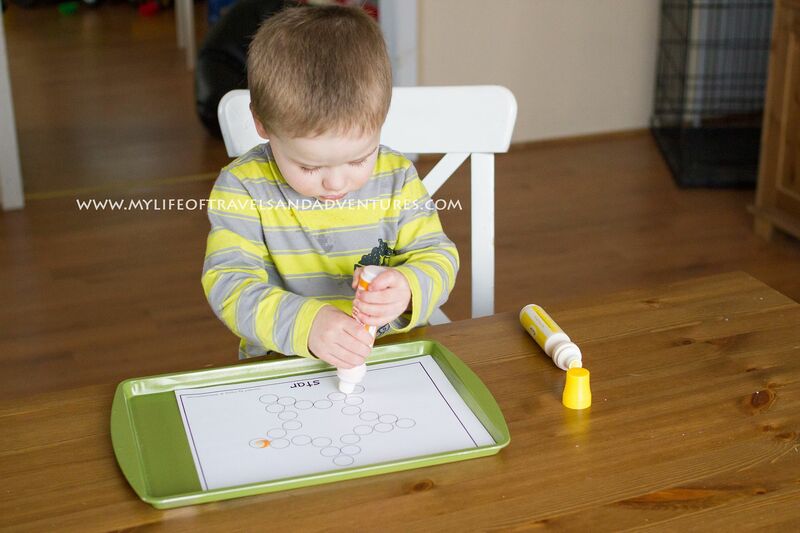 Reid is a huge fan of dot markers and completed all the worksheets I printed out this week. Maybe 5. So I went back and made some more copies for him to do again. We played a lot with eh Mickey Mouse Colors & Shapes flashcards. Reid is really in a matching phase, so I would name a shape and he would find all of that particular shape from the cards laid out. 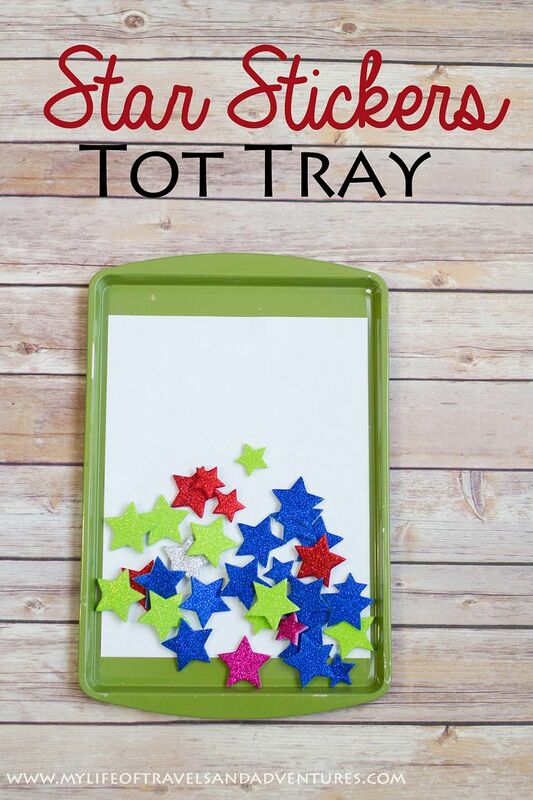 This tray was only used for a couple minutes. I thought Reid would like matching the big stars together and the little stars together but he really wanted nothing to do with it. So we moved on. Lately, Reid wants to read his own books. He will hand me a book and then pick one out for himself and we will sit together and look at our own books. 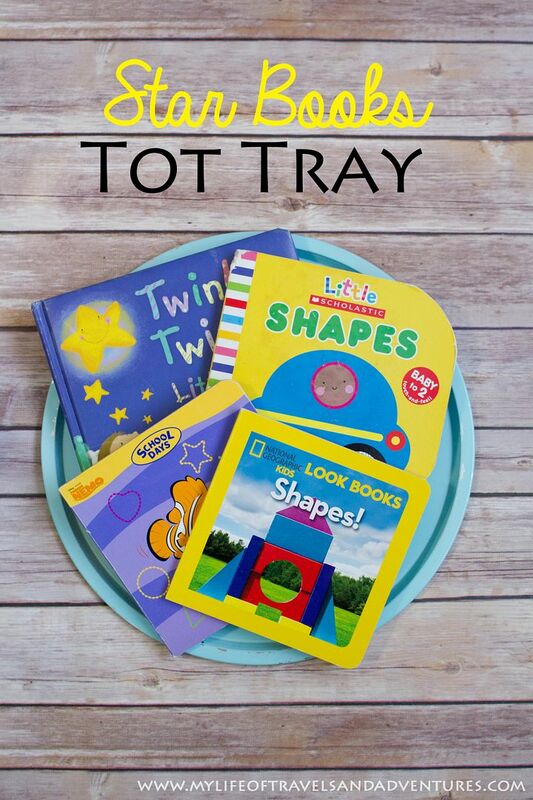 So this week I picked books that he could look though on his own and still see lots of shapes. Coloring. Need I say more. Always a hit. 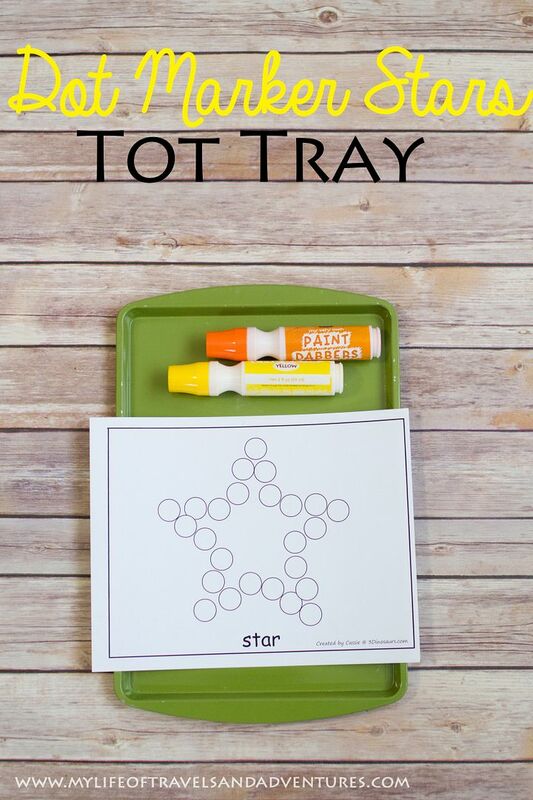 For this Tot Tray, I collected all my star wash tape and let Reid play. He had fun stacking the like rolls together and lining all of them up in a row. 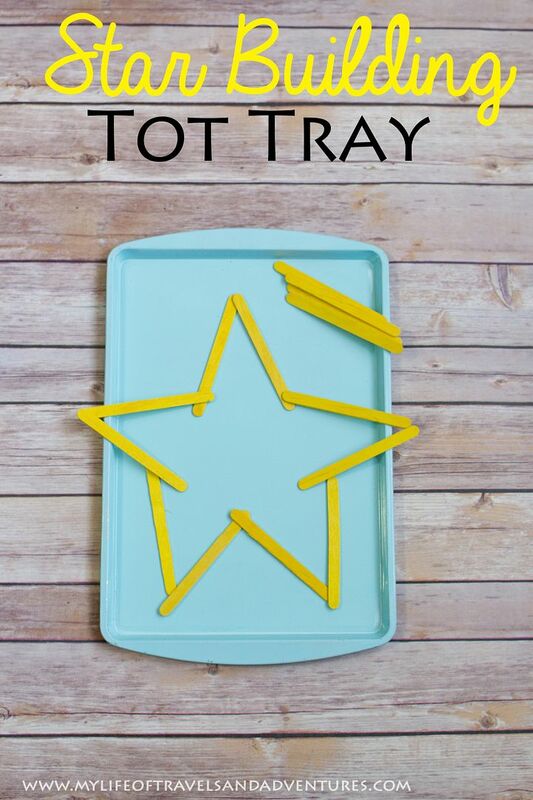 This was really a hands off tray for me. 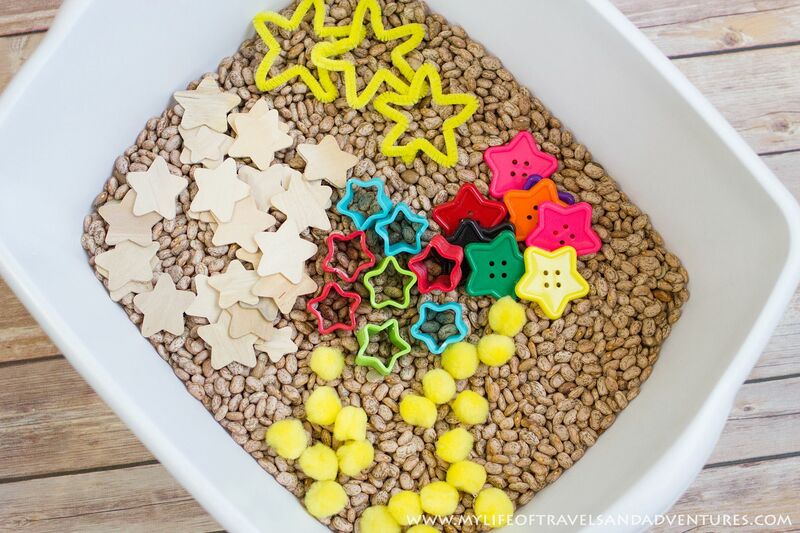 We spend so much time each day playing with play dough. 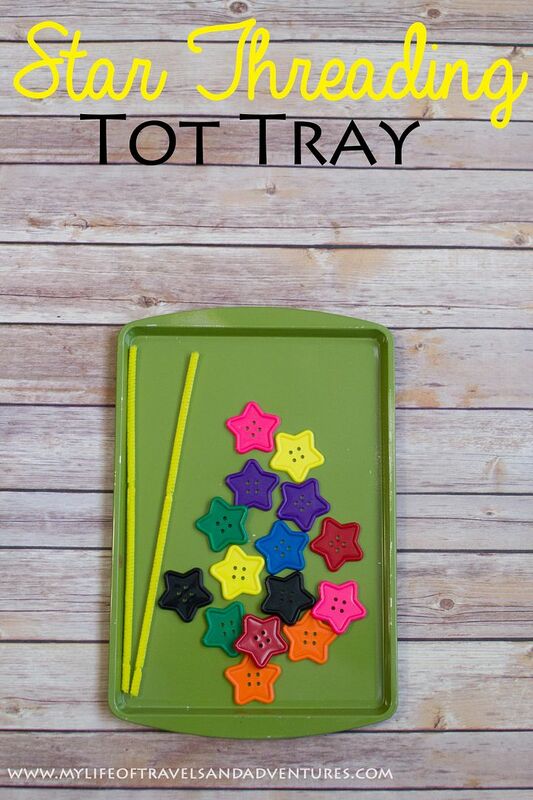 So the trays that include play dough are always always a hit. Sticker are hit and miss around here. 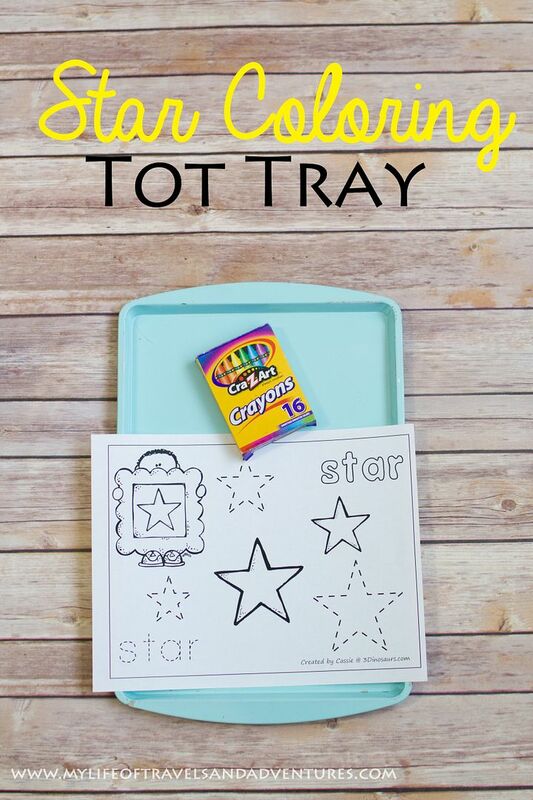 He played with this tray for a couple minutes but it was more about the color of the stars than actually sticking them as stickers. 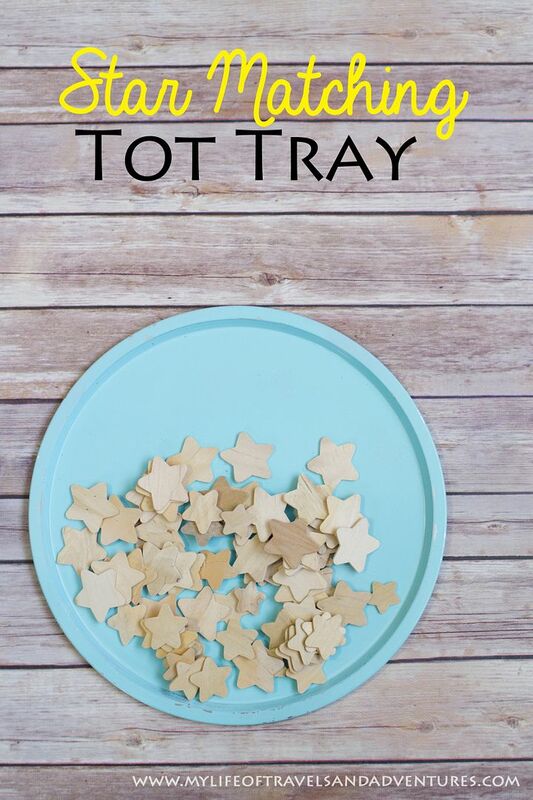 This was a fun tray. It involved a little help from me to get started but Reid had fun making (or trying to make) stars out of the popsicle sticks. 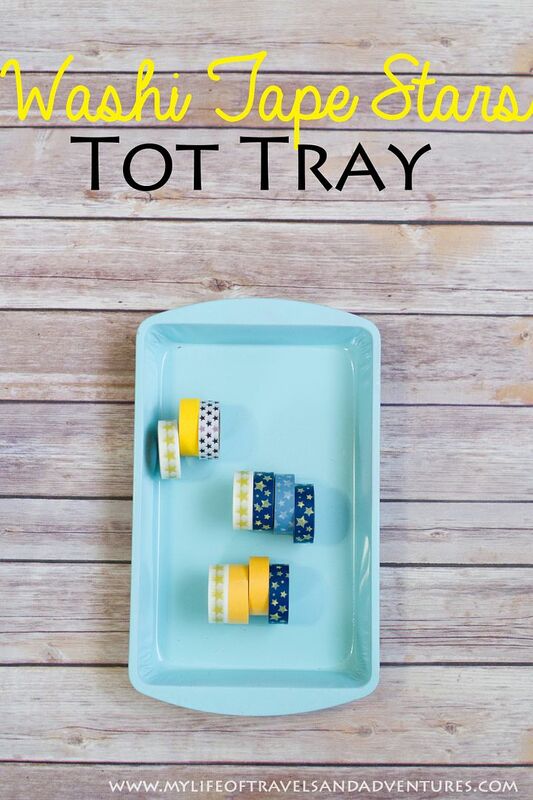 The threading trays are always hit or miss. But I try to include one every week or so. 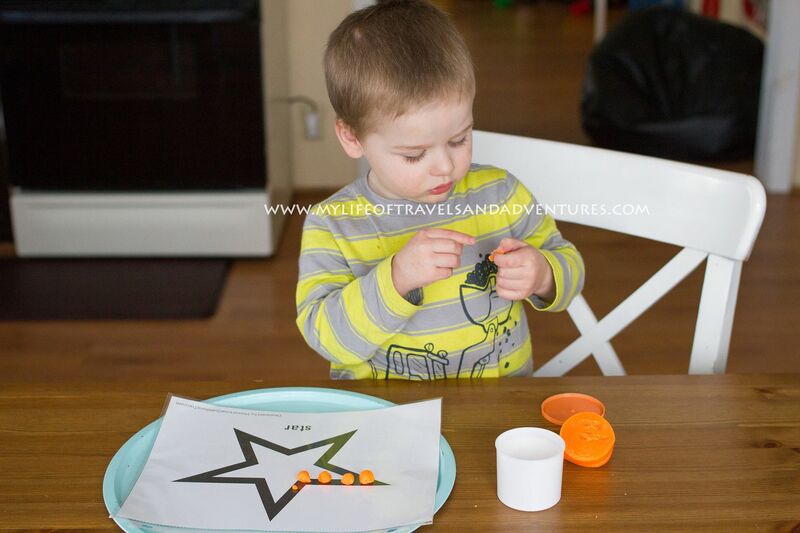 This week he strung a couple stars onto the pipe cleaner before loosing interest and moving on. I am thinking of moving away from shapes for a bit. We shall see though. 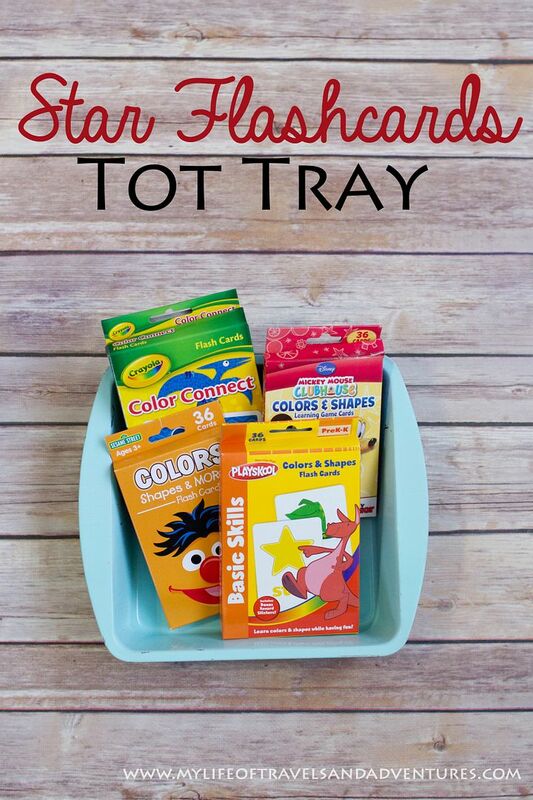 To see my other Tot School Themes, Tot Trays and Sensory Bins... Click here. Ooh! These look like so much fun! 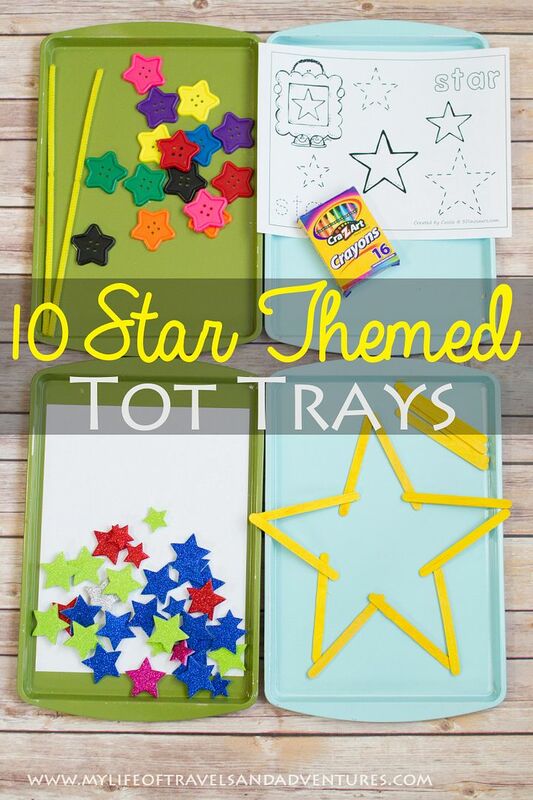 I love the idea of putting stars together with popsicle sticks. I can't seem to find any here in the Netherlands, but I'll try something like this with straws soon :) pinned! A couple of my boys were visual learners, so when they started bring math problems home from school, and were struggling, I would dump some beans on the table, and when they would do minus problems then they were able to learn a lot faster once they could see how it was done, then they had no more problems. you reminded me of this when I seen your beans in the pan. GOD bless.